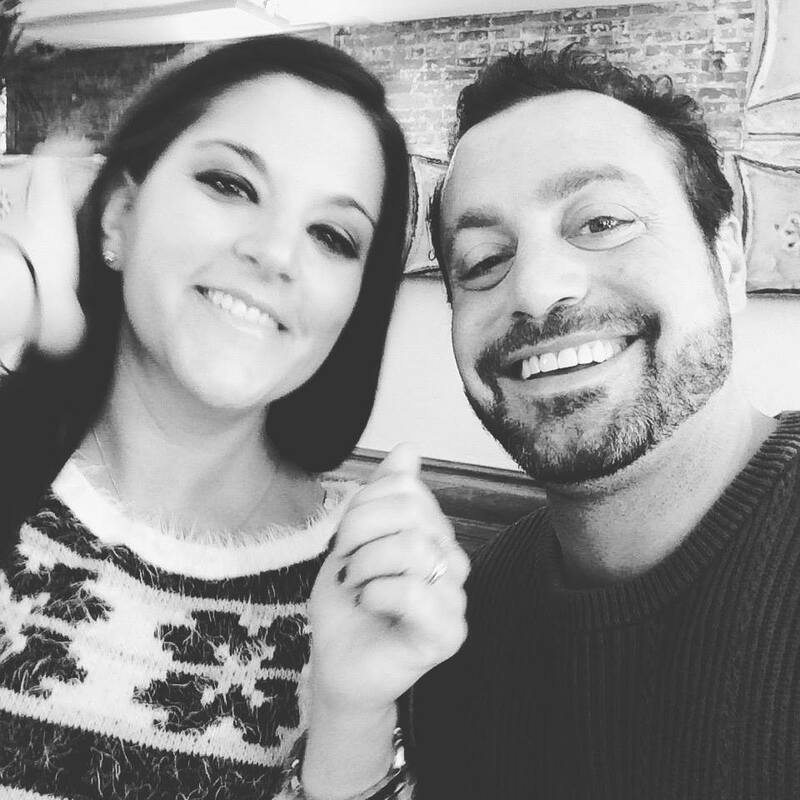 Alicia and Jason knew from the moment they met that they would share a love to help each other through the good times as well as the bad. Their wedding at Hotel Monaco in January was a celebration of their love and the joy and support of their family and friends. Paying homage to their love of R&B and Soul, the bridal party entered to “Stand By Me” by Ben E. King, and in special tribute to her life with Jason so far, Alicia was escorted down the aisle to “Trouble, Heartaches, and Sadness” by Anne Peebles. The vocalist, Anne Peebles, sings about her past trials and tribulations, telling her constant companions Trouble, Heartache and Sadness that she no longer needs them. 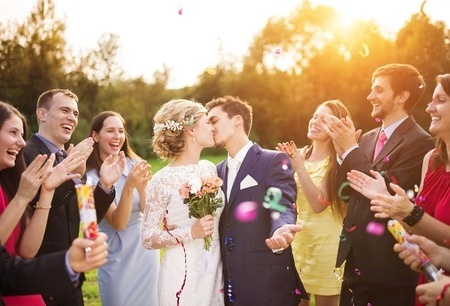 The deep love expressed in the Bride’s processional was echoed throughout the entire ceremony. 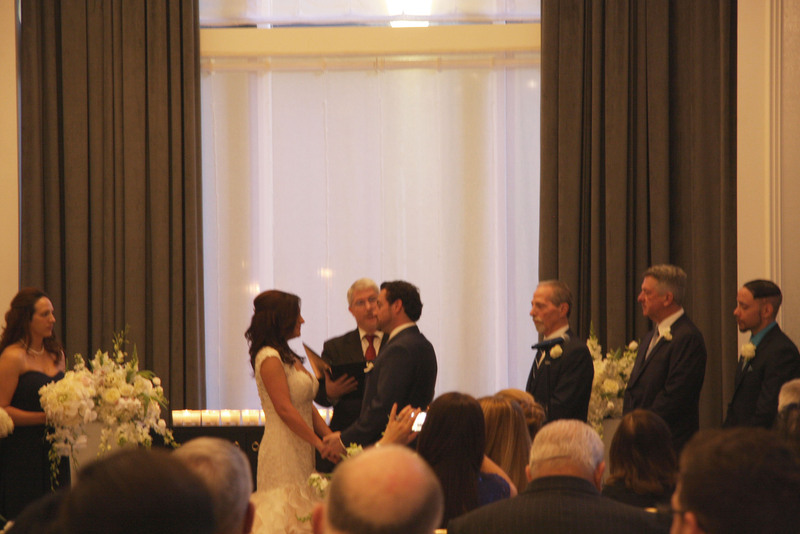 Alicia and Jason exchanged their vows during a candlelit ceremony surrounded by their family and friends. 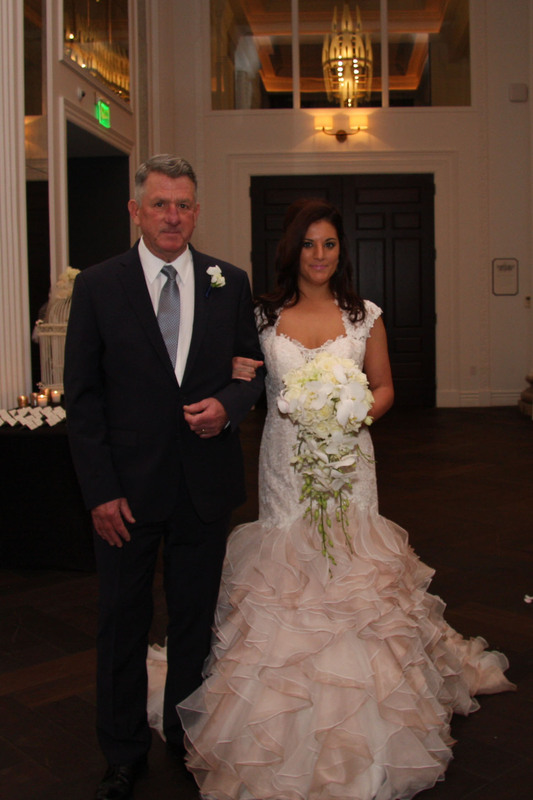 From touching readings by Alicia’s aunt and uncle to the couple presenting roses to their mothers, Alicia and Jason’s ceremony was full of an intimate, caring, tender love to last a lifetime. Following the ceremony, Alicia and Jason’s reception continued the candlelit joyful celebration. 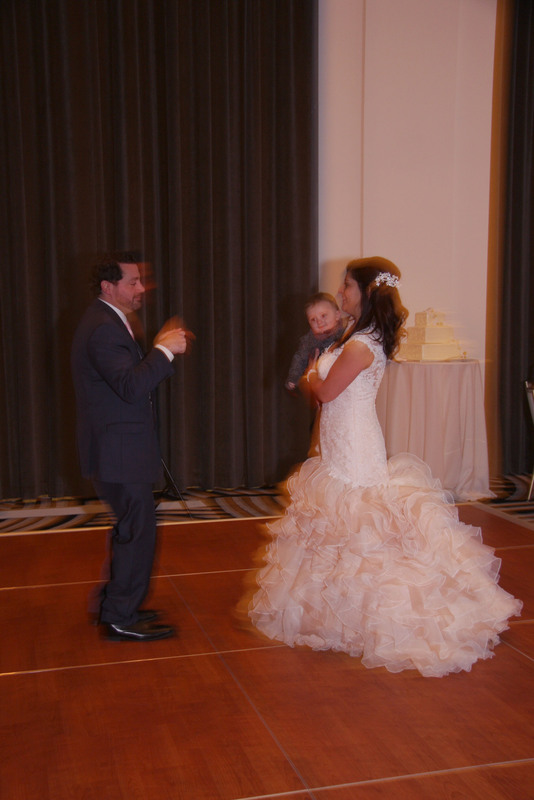 One of the most memorable moments of the night was the happy couple’s jubilant first dance to William Bell’s “Every Day Will Be Like A Holiday”, with Jason scooping up the couple’s young son, Chace, to dance with him and Alicia. The guests rounded out the evening with an energetic dance floor that showcased some serious dancing skill and enthusiasm. 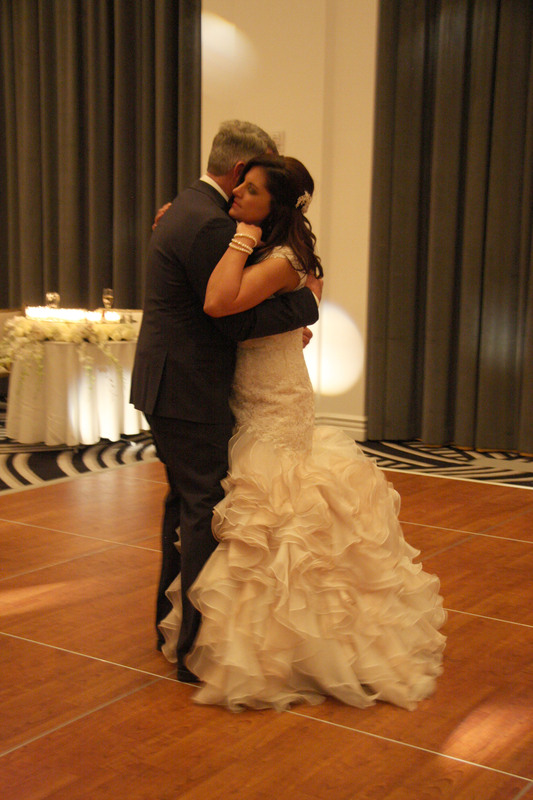 The touching moments shared between Alicia and her father, Stanley Krupa, during the Father & Daughter dance were full of smiles and laughter, and they both radiated a quiet and peaceful happiness. A mother’s pride in her son and his new family could not be more evident in Jason’s mother, Laura Landrio. Laura beamed at Jason through the Mother & Son dance. 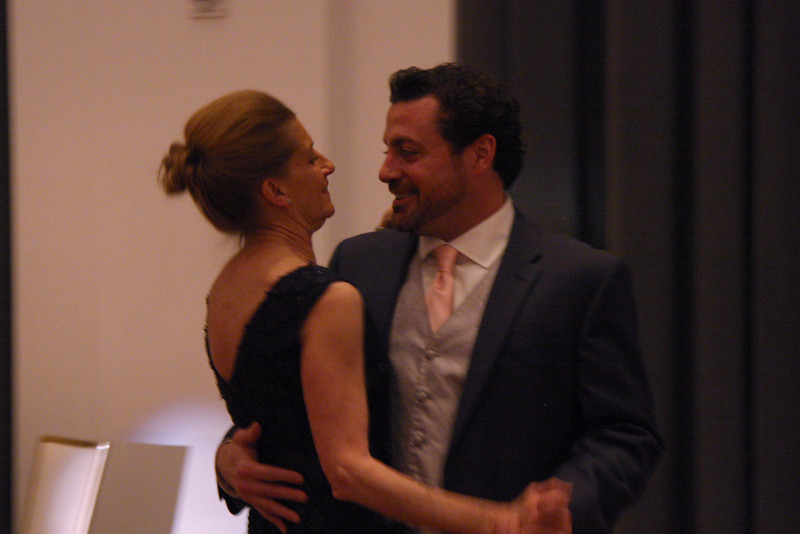 Together, the new Landrios, their parents, and extended family and friends danced the night away in celebration.